Microsoft's Big Data solution integrates Microsoft Business Intelligence (BI) components with Apache Hadoop clusters that have been deployed in Azure HDInsight. An example of this integration is the ability to connect Excel to the Hive data warehouse of a Hadoop cluster in HDInsight using the Microsoft Hive Open Database Connectivity (ODBC) Driver. 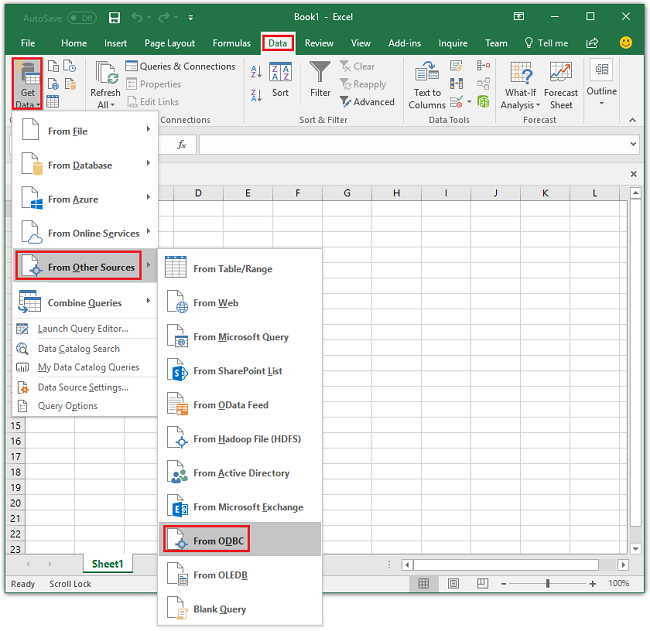 It is also possible to connect the data associated with an HDInsight cluster and other data sources, including other (non-HDInsight) Hadoop clusters, from Excel using the Microsoft Power Query add-in for Excel. For information on installing and using Power Query, see Connect Excel to HDInsight with Power Query. An HDInsight Hadoop cluster. To create one, see Get started with Azure HDInsight. A workstation with Office 2010 Professional Plus or later, or Excel 2010 or later. Download and install the Microsoft Hive ODBC Driver version that matches the version of the application where you will be using the ODBC driver. For this tutorial, the driver is used for Office Excel. From Windows, navigate to Start > Windows Administrative Tools > ODBC Data Sources (32-bit)/(64-bit). This opens the ODBC Data Source Administrator window. From the User DSN tab, select Add to open the Create New Data Source window. Select Microsoft Hive ODBC Driver, and then select Finish to open the Microsoft Hive ODBC Driver DSN Setup window. User Name Enter HDInsight cluster HTTP user username. The default username is admin. Password Enter HDInsight cluster user password. 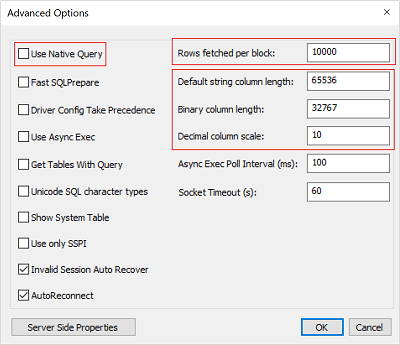 Use Native Query When it is selected, the ODBC driver does NOT try to convert TSQL into HiveQL. You shall use it only if you are 100% sure you are submitting pure HiveQL statements. When connecting to SQL Server or Azure SQL Database, you should leave it unchecked. Rows fetched per block When fetching a large number of records, tuning this parameter may be required to ensure optimal performances. Default string column length, Binary column length, Decimal column scale The data type lengths and precisions may affect how data is returned. They cause incorrect information to be returned due to loss of precision and/or truncation. Select Test to test the data source. When the data source is configured correctly, the test result shows SUCCESS!. Select OK to close the Test window. Select OK to close the Microsoft Hive ODBC Driver DSN Setup window. Select OK to close the ODBC Data Source Administrator window. The following steps describe the way to import data from a Hive table into an Excel workbook using the ODBC data source that you created in the previous section. Open a new or existing workbook in Excel. From the Data tab, navigate to Get Data > From Other Sources > From ODBC to launch the From ODBC window. From the drop-down list select the data source name that you created in the last section and then select OK. Enter the Hadoop user name (the default name is admin) and the password, and then select Connect to open the Navigator window. From Navigator, navigate to HIVE > default > hivesampletable, and then select Load. It takes a few moments before data gets imported to Excel. Visualize Apache Hive data with Microsoft Power BI in Azure HDInsight. 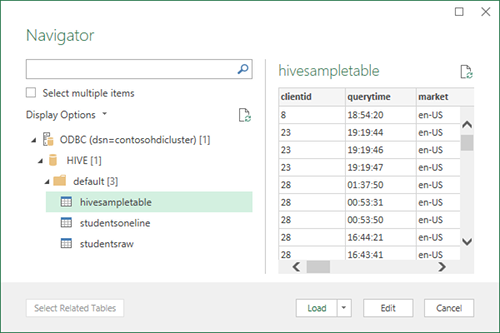 Visualize Interactive Query Hive data with Power BI in Azure HDInsight.